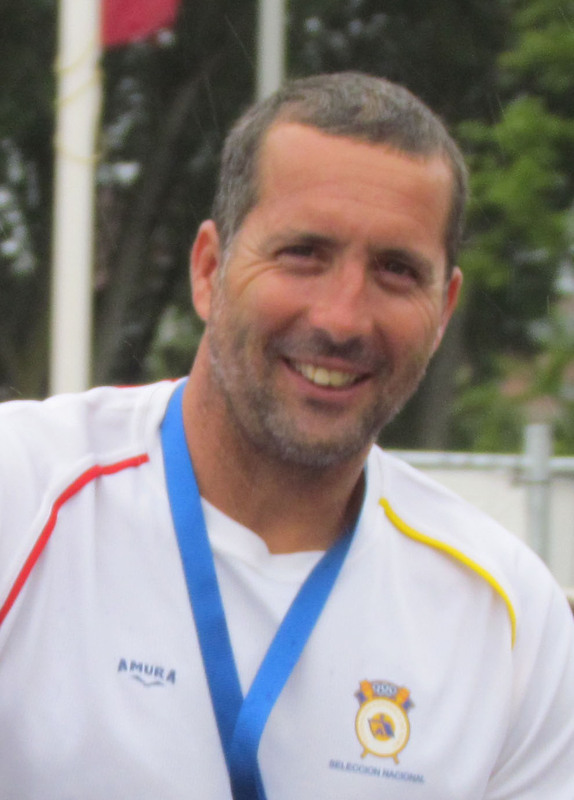 Come train with David Cifuentes, Head Coach for the Spanish National Team! 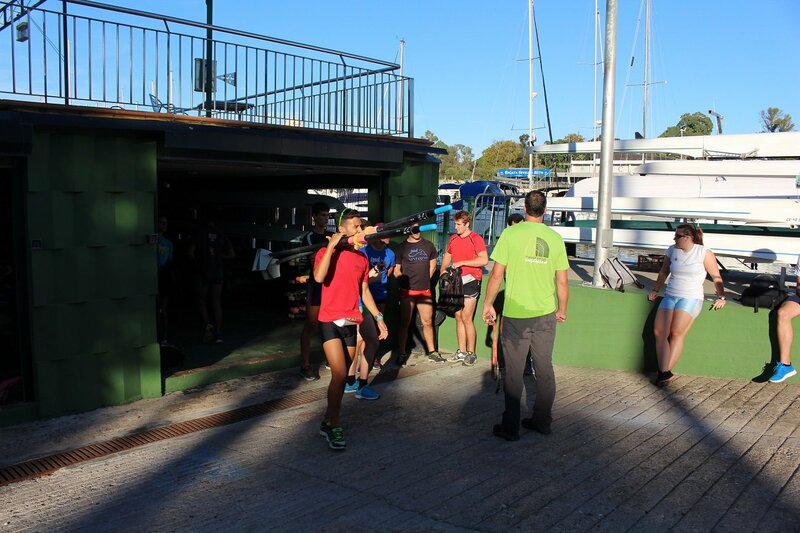 At SAIIE, we work with the well-renowned local rowing club at Club Naútico Sevilla to help student rowers perfect their skills. College rowers will have the opportunity to study with us and train with the rowing team while earning college credits. The Club has been extremely successful, having produced various Olympic athletes as well as highly talented rowers. This opportunity is fantastic for those who are passionate about rowing and want to learn from top athletes. The Rowing program allows you to train 5 days a week alongside top rowers. Training will be in the evenings during the week and in the morning on weekends. There will be an organized race for those who choose to do both summer sessions. For those who choose to do only one of the summer sessions, a race is possible but not guaranteed. Along with training, you will need to take a minimum of 3-4 credits per session. The courses we offer are in Spanish Language, Spanish Culture, and Liberal Arts. If you are an experienced rower, you will know that the conditions of the river and weather are everything. 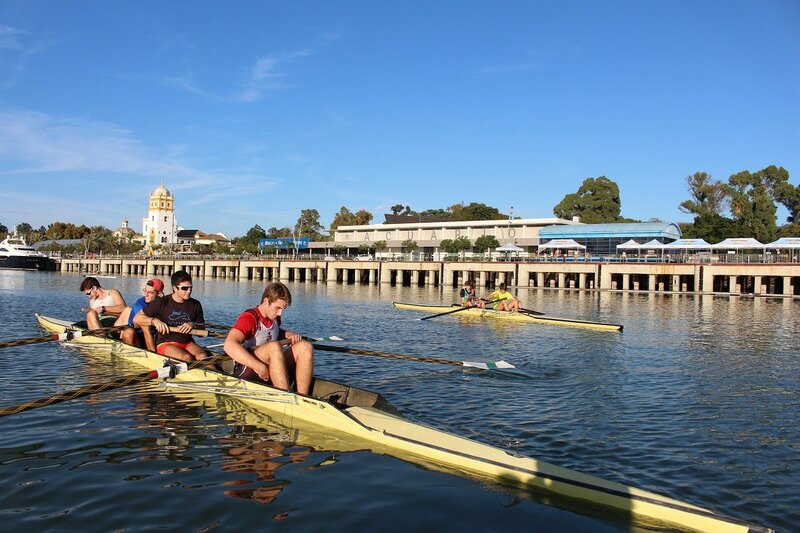 Seville as a city is adapted to make the perfect rowing grounds to train or compete in the sport, and is actually renowned for having the best rowing training facility within Europe. If you choose Seville, you are promised an all year-round rowing season thanks to the ideal Southern climate it hosts. What makes Seville an even more prime location for rowers is that its River, Guadalquivir, has an eventual end. It is divided off into two sections, meaning no strong currents, creating the perfect waters for rowing. Together, Seville´s weather and water conditions simulate the exact conditions that are set for the Olympics, assuring optimal rowing speed and performance. 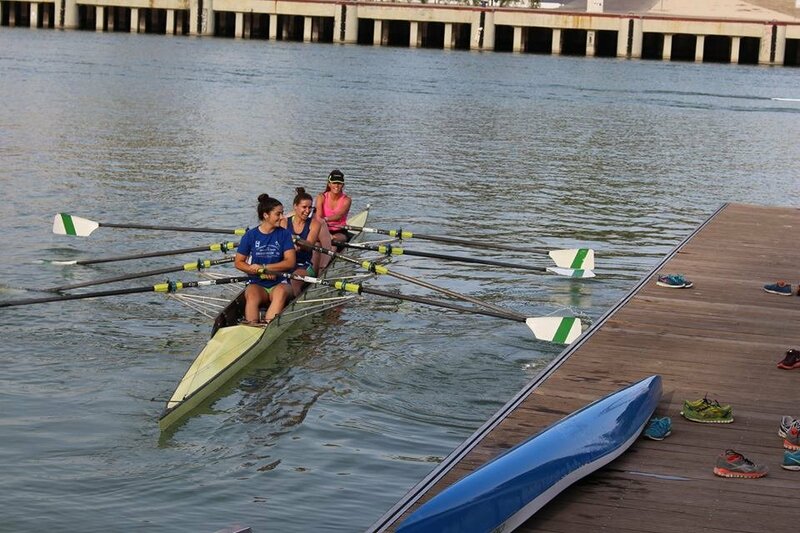 SAIIE´s affiliation with the outstanding Club Naútico Sevilla provides an excellent network of reputable and accomplished rowers to train alongside you to develop your rowing skills further. Finally, the one benefit that is guaranteed when placed on a Spanish rowing team is the opportunity to practice and develop your Spanish. With your teammates being Native Spaniards, your interactions with them will always be in Spanish, giving you sense of total immersion into the Hispanic culture as well as Sevillian dialect. The “Club Náutico Sevilla” was founded in 1952 by a group of water sports enthusiasts. Among the different sports disciplines, Rowing is one the main branches at the Club. The Club is comprised of over 8000 members, of which there are more than 300 athletes in the rowing, canoeing, sailing, basketball, and swimming sections. 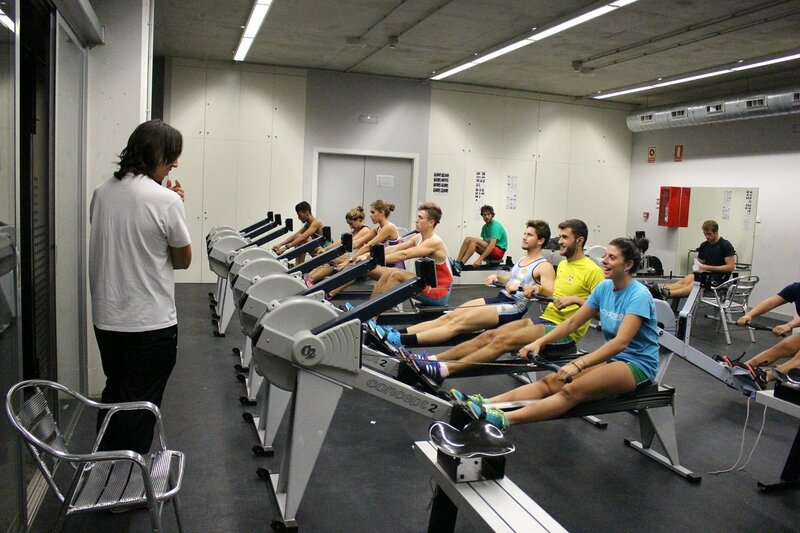 SAIIE students on our Rowing program will be surrounded and integrated in a group of roughly 100 Spanish rowers from juniors to professionals and veterans. They form a varied and extensive network of athletes, making every training session and event a new and exciting learning experience. This has been the basis of the Rowing section´s successful growth within the Club over the 57 years since it was founded. In its list of sporting achievements is the distinguished Stadium Cup (Copa Stadium), and the 1985 National Sports Award (Premio Nacional de Deportes), which was awarded to the Club for its special contribution to the development of its club sports. Rome 1960: José Antonio Sahuquillo, Enrique Castelló, Joaquín Real. Los Angeles 1984: Fernando Climent (Silver Medal). Seoul 1988: Fernando Climent, Enrique Briones. Barcelona 1992: Fernando Climent, José María de Marco, Fernando Molina, Enrique Briones. Atlanta 1996: Fernando Climent, José Mª de Marco (Diploma), Alfredo Girón, Juan Manuel Florido, Esperanza Márquez. Athens 2004: Juan Manuel Florido. In 2009, The Seville City Town Hall awarded the club with the distinction of the best Club in Sevilla. The Club was named the best sports club in Andalusia in 1993, and again in 2003. Some of the Rowing team´s major milestones include 1 Olympic Silver medal at the hands of the current president of the Spanish Rowing Federation (FER), Mr. Fernando Climent, as well as 11 Gold, 11 Silver, and 21 Bronze medals in World Championships. In Spanish Championships they have won 596 medals (203 Gold, 197 Silver, and 196 Bronze). 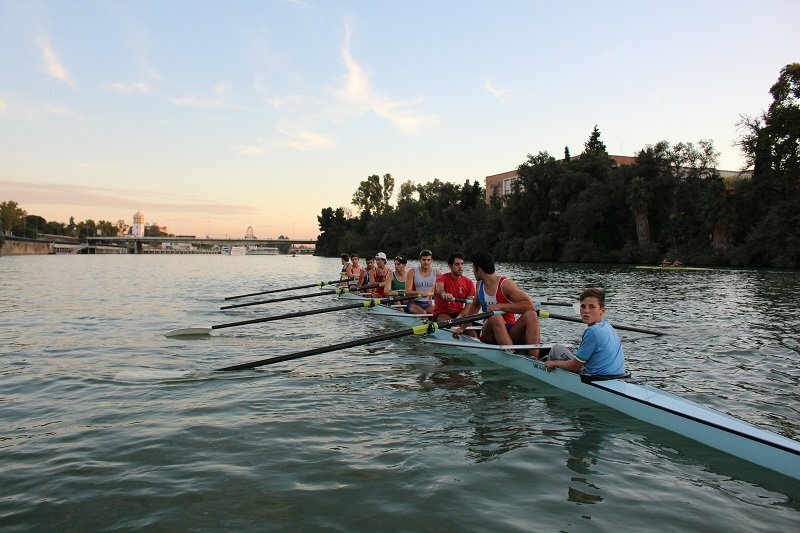 In the 2011-2012 season, Club Náutico Sevilla was ranked in first position in the national ranking of rowing clubs by the Spanish Rowing Federation. Students must be rowing on their varsity team back at their home university. In the 2k Concept Rowing Ergometer test female student-athletes cannot exceed 7:40 and male student-athletes 6:40. For more information about the rowing program we offer to our students in Seville please read the following interview with the student Austin Letorney from Hobart and William Smith Colleges. How do you find the trainings in comparison to back home at Club Nautico? The training is very different. Usually my team at home trains 2-3 times a day and all the guys are there. The training here is a lot in a little amount of time which is good. Even though there is one practice a day, the coaches pack a lot into them. Do you find them at a good level? Yes. The lifts are tough, but you definitely see improvements. The rowing is a great base fitness builder and the team is technically very good. How would the level compare to an average college team in the US? The level is different. To compete as a top 20 program in the U.S., it takes a couple practices a day. Here, it is just different style of doing things and it works for them. It doesn’t mean one is better than the other. The two countries just have a different way of doing things. In the US, you are used to only rowing in a boat with 8 people, right? Typically, the U.S. races in eights. However, for trainings purposes, a lot of high caliber programs train in pairs (two people) and fours. Racing in these boats occur as well, but usually not during the racing year. At Club Nautico you row in all boats, correct? Yes, at Club Naútico we row all kinds of boats, sculling (with two oars) and sweeping (with one). Do you find it useful that you have to row all styles or boats here? Yes, it is very useful to row all kinds of boats because for the eights, fours, and pairs, it keeps me in boats that I row at school. For doubles and quads (two oared boats), it gives me a change of pace and I can row something I traditionally do not row. What type of exercises do you do on the river while your rowing? Usually on the river we just row to where David, the coach, tell us. Self-coaching is big here. David will also tell us to do drills at certain points on the river which include anything from body prep drills, to rowing on the square, to pause drills. What about the coaching? Does David give instructions? Has he helped you? David is a very good coach in my opinion. He has a lot of boats on the river at once so he is bouncing around from boat to boat, but he will watch you for a little, give you some things to work on, and then he will tend to another boat. This is why I said there is a lot of self-coaching. In the U.S. I am used to my coach staying with us the whole practice. No one way is better, just different. You do weights. How often (Days and hours)? Have you found these trainings useful? Do you find the weight training organized? Usually we do weights two times a week as the practice. These are very useful lifts and I have seen major improvements with my strength. It can be a little crowded in the gym, but the lifts are organized and David has groups and separate workouts for each group. What about the rowing machines, do you do any type of exercises or tests? You only use the rowing machines on weight days? Machines differ depending on what the workout is and on what day David wants to use the machines. How about running? Is running part of your trainings as well? If so, how often do you run? For how long? Running is usually for warmups on the days before lifts to get warmed up. Usually it is a short run before practice to get the muscles warm, but there is no extensive running done. I am so grateful for the opportunity provided by the 2013 SAIIE Summer Rowing Program. 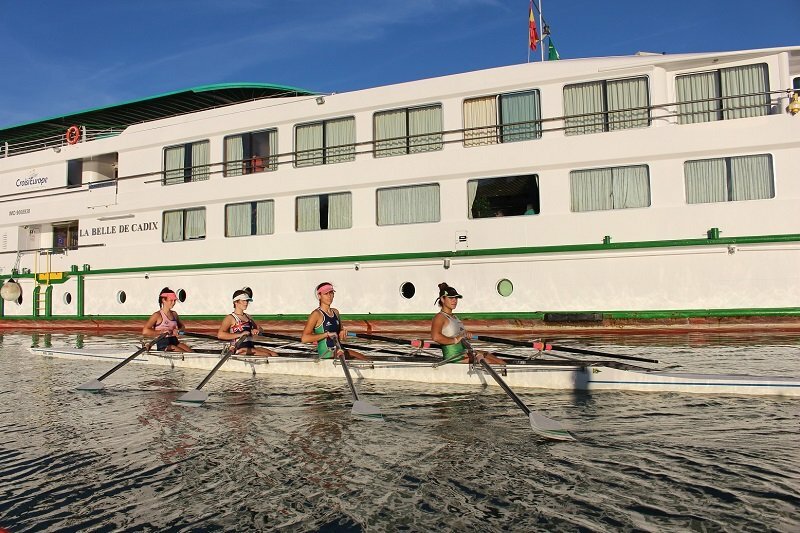 As Club Nautico Sevilla's first ever American rower through SAIIE I was warmly welcomed and integrated into both their practice and competitive race schedule on the beautiful Guadalquivir River/Canal de Alfonso XIII. The ability to complete my international requirements to graduate with International Honors from the University of Alabama while remaining consistent with my on water and weight training regimen through the SAIIE Rowing Program was both academically rewarding and athletically advantageous. I would definitely recommend this program to anyone who wants to keep training but also wants to get an abroad experience. David is very open and will allow you time to travel but if you come to train he will throw in you in a boat, it’s a lot of fun, you meet a lot of new people, get to practice the language. Overall it was a great experience!